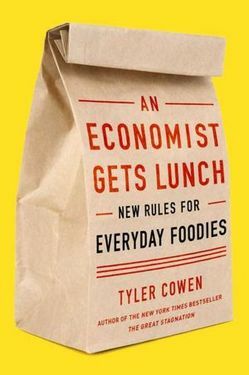 I’ve been an economist for some 30 years, and a foodie for nearly as long. In this time, I’ve learned that by applying some basic economics to my food choices, I can make nearly every meal count. I’ve also realized that a lot of the best food is cheap. Herewith, a distillation of what I’ve learned about dining out, in six simple rules. Corollary: The food truck is your friend. Side tip: When in Manhattan, choose restaurants on the streets over those on the avenues. Quality food is cheaper when cheap labor is available to cook it. In a relatively wealthy country like the United States, cheap labor can be hard to find. We have a high level of labor productivity and a minimum wage; in some cases even illegal immigrants earn more than the legal minimum. But one obvious place to find cheap labor is in family-owned, family-run Asian restaurants. Family members will work in the kitchen or as waiters for relatively little pay, or sometimes no pay at all. Sometimes they’re expected to do the work as part of their contribution to the family. The upshot is that these restaurants tend to offer good food buys. Exception: Eat at Thai restaurants attached to motels. Corollary: Prefer Pakistani to Indian. I have noticed that family run food joints are much cheaper. When I lived in Washington there were cheap ‘Teriyaki’ restaurants on every corner each ran by a different family. There were huge portions, good quality, and it was relatively cheap.